We are a leading Manufacturer of pvc antistatic film from New Delhi, India. 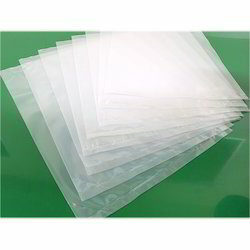 Introduction : Antistatic film are basically Ldpe( non adhesive film ) Pvc - soft base films which can be used for various application like base materials Abs , san , pp , polycarbonate , steel , glass ,acrylic sheets etc final products like Head lights , indicators , wiser , meter covers , r.o systems , aluminium name plate , lacquer quoted sheets , die cutting , antiscratch much more applications. Suitable for both hand and mechanic use due to adequate adhesiveness and elongation in films. Easy to use on products as per application. Technical Specification : For technical specification about films , we always recommend our films as per product application .So if you have any querry feel free to contact us discuss about your application.